Chitralahari movie review live updates: Director Kishore Tirumala's Telugu movie Chithralahari is is a romance drama starring Sai Dharam Tej, Kalyani Priyadarshan and Nivetha Pethuraj. Scroll down to see the audience's response. Director Kishore Tirumala's Telugu movie Chitralahari (Chithralahari) starring Sai Dharam Tej, Kalyani Priyadarshan and Nivetha Pethuraj has received mixed reviews and ratings from the audience. Chitralahari is a romance drama that is high on emotional quotient. Kishore Tirumala has written the script and dialogues for the movie, which has been produced by Naveen Yerneni, Mohan Cherukuri and Ravi under the banner of Mythri Movie Makers. The film has received a U certificate and its runtime is 2.30 hours. Chitralahari movie story: The film is about Vijay (Sai Dharam Tej), who is a loser in life. Despite having good and innovative ideas, this youngster encounters failure in his life. His attempts to succeed in life form the crux of the movie. Done Watching #Chitralahari @IamSaiDharamTej's Classic Performance @kalyanipriyan looking Pretty @Mee_Sunil & @vennelakishore done well @posani_kmurali Apt in father role @ThisIsDSP's music is one of the Highlights #KishoreTirumala's Dialogues are heart touching. 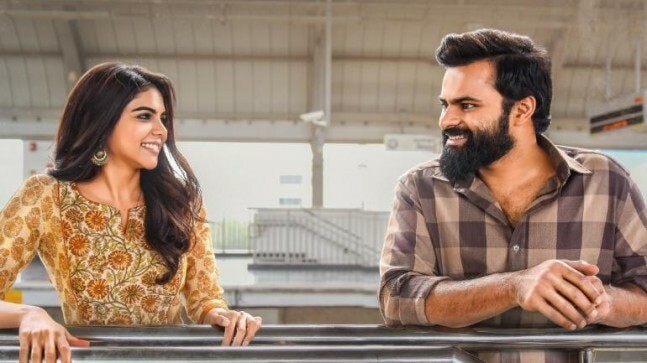 #ChitraLahari : Interval - Very good first half Awesome dialogues by Kishore Simple yet effective. @IamSaiDharamTej , @Mee_Sunil & @kalyanipriyan are very good in their roles. #Chitralahari - A wasted opportunity !! STD nd Sunil performance, production values, BGM are the positives but couldn't help the film to be worth watching. Ps : definitely Better than the previous films of SDT ..